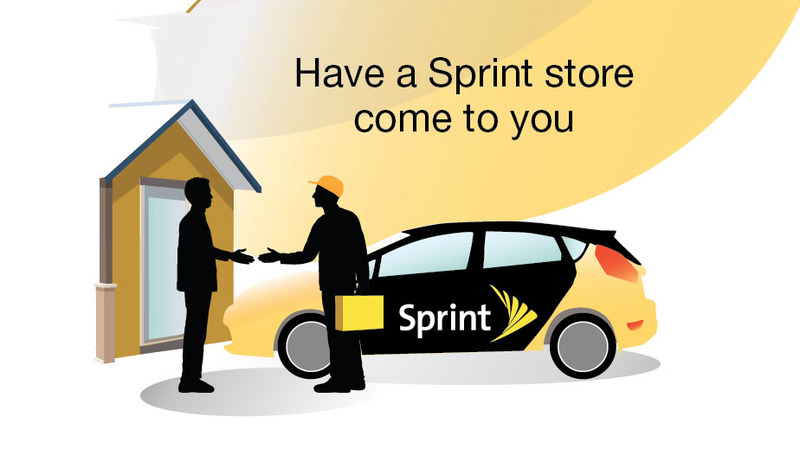 This morning, Sprint announced a new program called Direct 2 You that places a retail-trained Sprint expert in your home, with your new phone, to make sure America’s grandmother population is taken care of. They could take care of you too. They could take care of anyone really. Well, not in the nursing home capacity, but to help you get a new phone up and running! Sprint’s Direct 2 You is a “first-ever” wireless customer service initiative that is “revolutionary.” Seriously, Sprint called it revolutionary. According to their customer research and insights, they saw a need for in-home service, which will require them to provide a fleet of around 5,000 Sprint cars driving around metropolitan areas. Nothing more revolutionary than adding to the world’s traffic and pollution problems, right? This is how it works. Sprint customers receive a text notifying them of an available upgrade. They can then call the number in the text, schedule an appointment with an expert, and then go about buying a new phone, all from the comfort of their own couch, once the expert arrives. The expert will setup the new phone, transfer over contacts, and make sure the phone is up and running properly. Appointments are free by the way, and do not require that you are a grandmother. On a related note, what’s with the “2” in “Direct 2 You?” I don’t get it. The word needed here is “to” not “two.” But because some marketer said, “Numbers look better and more catchy in phrases, so let’s swap in the number 2, even though it makes no sense.” Boom, marketing.